Some of you may have known from my Instagram posts that I have recently gone dairy-free and thoroughly enjoying it! I’ve also always loved my vegetables more than my meat so as a recipe developer, I relish the challenge of creating a dish that packs an incredible amount of mind-blowing flavour without the use of any meat or dairy! 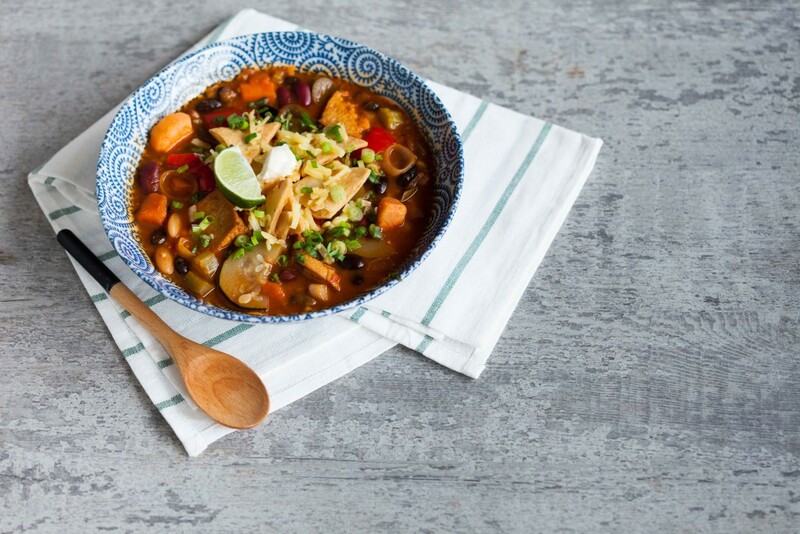 You are going to love this vegan recipe, a lovely alternative to the traditional chilli con carne, packed with good stuff, full of soulful flavour and hearty enough to eat as a meal! 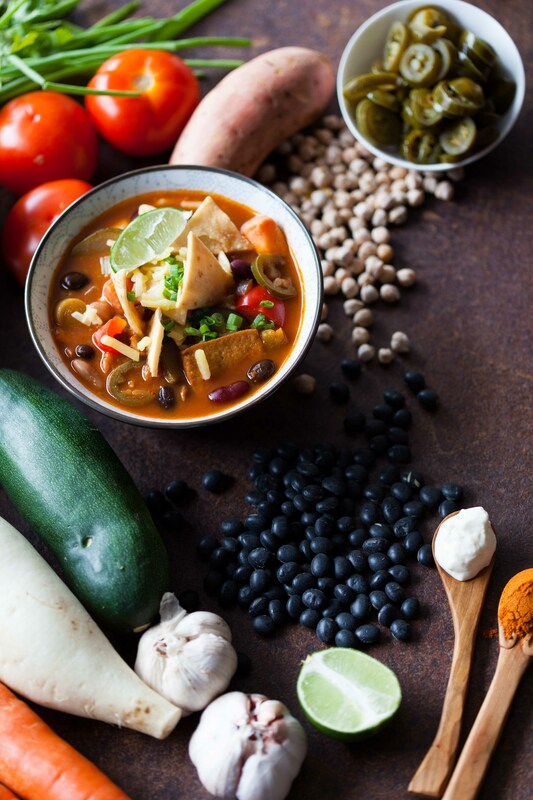 Satisfy your nutrient needs with roasted sweet potatoes, zucchini, tofu and beans, simmered slowly with chillies, cumin and paprika in a smoky tomato-based soup.